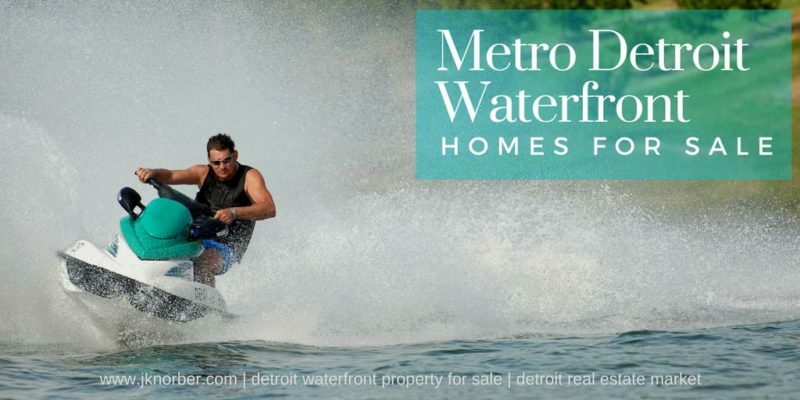 Are you looking for Metro Detroit Real Estate homes for sale that accommodates waterfront sports activities? Would lake area properties for sale with lake access meet your family’s expectations? Are homes with water frontage, canal or river access homes for sale better suited? As you can see, Southeast Michigan offers a wide variety of lakefront living options. How do you choose when you’re ready to buy or sell a lake property in Metro Detroit? It’s confusing, I know. Call Joshua Norber and his team of Lake Area Realtors® and Waterfront Specialists to help you achieve your goals at 248-785-3737. Want to know about the Metro Detroit Housing Market? Our monthly area reports are filled with accurate statistics for each Metro Detroit Area, including actual recent homes sold in your Detroit Real Estate Market. © 2019 Norber Real Estate, LLC. Joshua Norber Team @ KW Showcase Realty. Click Here Now to find out about a career in Real Estate or learn more about Keller Williams Realty.